Medical mistakes resulting in injury or death to a pregnant woman and/or her as yet unborn child can occur during the woman’s pregnancy as well as during the labor and delivery stages of childbirth. Though most births occur without any untoward events or child birth complications, a mother’s labor and delivery of her child can involve unexpected dangers for both mother and child. Most problems encountered during the labor and delivery stages of childbirth are not caused by medical negligence or malpractice. When medical error does occur, however, serious consequences may result. Birth injury lawyerand labor and delivery lawyer Jeffrey Killino has extensive experience with all types of child and birth injury cases, including those arising out of injuries or deaths caused by medical negligence during the labor and delivery stages of childbirth. 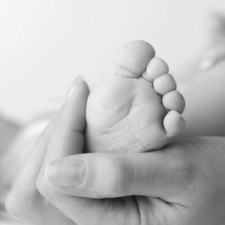 If your child has sustained an injury or died during childbirth and you suspect that your child’s injury or death was due to medical negligence, you may be entitled to compensation for the suffering you and your child have endured. Contact attorney Killino at 877-412-8490 for a free evaluation of your case and information about your legal rights and options. Obstetricians and other medical professionals who assist in the birth of a child have a duty to exercise reasonable care for the safety of both mother and child during the childbirth process. This duty arises from the time the woman is admitted to the hospital and continues even after the child has been born. Though medical negligence often occurs before and after a child is born (for example, when medical professionals fail to properly monitor a fetus’s oxygen intake before and after delivery), a failure to exercise the required due care during labor and delivery of a child can occur in myriad ways. Any of the above stated medical errors and more may be found to constitute medical negligence or malpractice by medical staff during labor and delivery. Through the institution of a medical malpractice or wrongful death action against the medical staff responsible for a baby’s injury or death, a plaintiff may recover compensation for the damages suffered by the plaintiff as a result of the baby’s injury or death. Though medical malpractice law varies somewhat from one state to another, medical malpractice actions for injuries or deaths caused to babies during labor and delivery generally require the plaintiff to prove that the medical professional had a duty to exercise due care for the baby’s safety, that the duty of care was breached (i.e., that the medical professional was negligent), that the medical professional’s negligence was a cause of the baby’s injury or death, and that the plaintiff suffered legally compensable damages as a result of the baby’s injury or death. In some cases, the hospital that employs the medical staff and in which a baby is born may be found directly liable for its own injury-causing negligence or indirectly liable for the injury-causing negligence of its employees. When a baby dies as a result of medical malpractice, certain of the child’s family members may be able to recover compensation for the damages they have suffered as a result of the child’s death through the institution of a wrongful death action. Though wrongful death law also varies somewhat from state to state, most states’ wrongful death laws allow such actions to be filed by the deceased victim’s immediate family members, who may include spouses, parents, or children of the decedent. In the case of a wrongful death caused by medical malpractice during labor and delivery, the defendants in the wrongful death action will be the same as those named in a medical malpractice suit for non-fatal injuries sustained by a baby. The plaintiff will be required in such wrongful death actions to prove the medical malpractice or negligence of the defendants just as they would have in a medical malpractice action. Though most births proceed without serious complications or injuries to mother or child, many labor and delivery injuries and deaths are caused by preventable medical error. 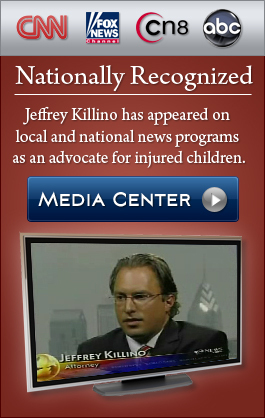 Birth injury and labor and delivery attorney Jeffrey Killino is nationally recognized for his dedication to bringing those responsible for children’s medical injuries or deaths to justice. If your child died or was injured during the delivery and labor stages of childbirth and you suspect that medical negligence was a cause, attorney Killino will help you obtain the compensation to which you are entitled. Contact attorney Killino at 877-412-8490 for competent and compassionate representation.